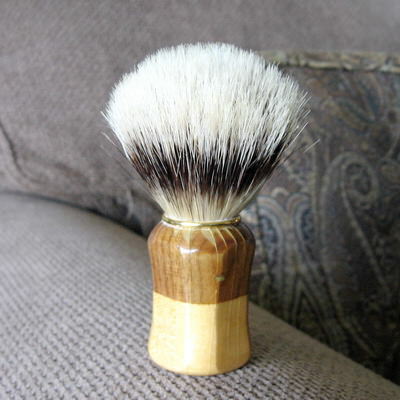 This is an unbranded brush with a wood handle. I haven't used it, but the knot feels quite soft. I think it is boar, because some of the hair tips are split. The handle shows some marks of use. $9 shipped CONUS.